Supra Vaider is THE HI-TOP of the skateboard world over. (check back tomorrow, you’ll see) I’m pretty sure you don’t need to worry about ankle bite with these. 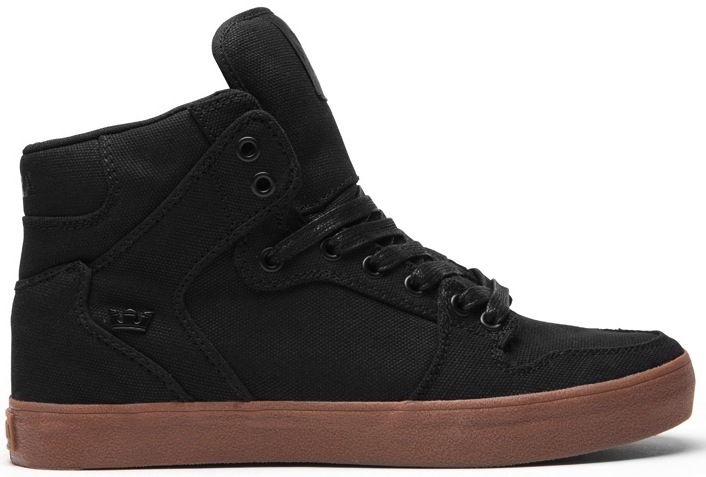 In fact the Supra (ha) high padded-tongue is going to give your lower shins some coverage too. 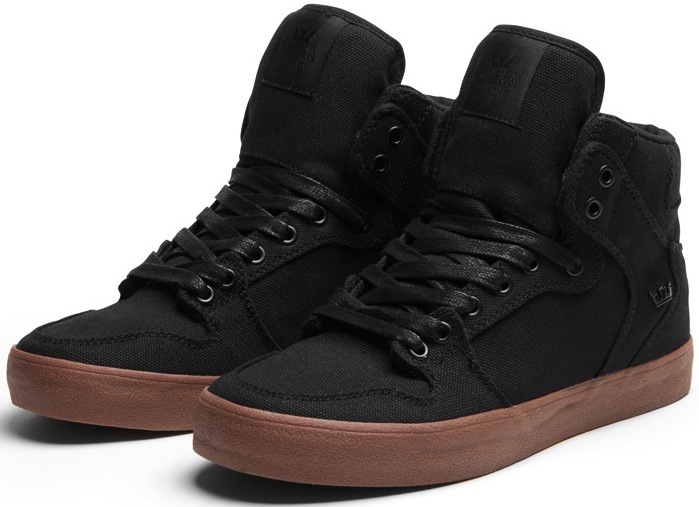 All Canvas upper, metal eyelets for fast lacing, more cushion for the in-sole push-in, and a vulcanized gum sole. The only colorway that meets the Vegan code is black, but thats the color of your soul, so it works.